For about one year, from mid-1949 to mid-1950, the Sport model was made with a fixed rear sight and a different type of front sight. 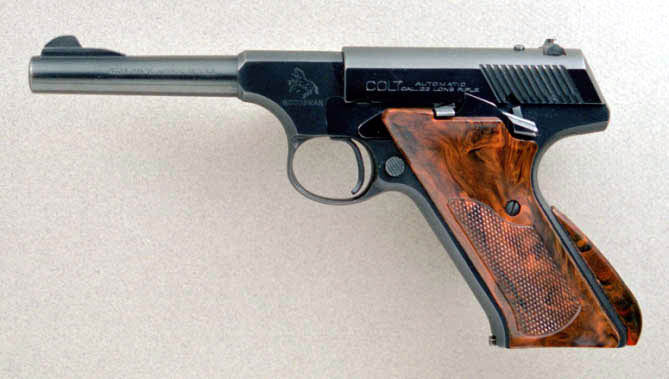 About midway through that production period all models were converted from Coltswood to injection molded plastic stocks, with changes in the grip frame area to accomodate the new type stocks. This is one of the later variety, with the injection molded stocks.